The Host is one of my all time favorite books, so it stands to reason that one of my all time favorite characters would come from it. Now, I love Ian and Jared, not to mention Wanda and Melanie. I mean, come on. They're all great, it's what makes the book so awesome. The characters feel real and they're in constant danger, so you worry about them. But for me, the character that always pops to mind when thinking about The Host is Kyle O'Shea, Ian's older, ruder, more prone to getting punched brother. I have a big old crush on him and I'm not ashamed of it, even if Kyle is a sort of antagonist for a good portion of the novel. Yes, he tries to kill Wanda multiple times and yes, he seemingly cares for no one but himself, but if you really look at the circumstances he's just a twenty something year old guy doing the best he can with what he has. Let's look at it his way. Kyle was probably in college when the Souls invaded earth. He lost his family and his girlfriend to the aliens. The only person he had left in the world was his brother. You'd think he'd want to keep him safe, right? Can't let the aliens take the last person you have left. So, when Wanda shows up he's understandably perturbed about it. She's an alien, she's dangerous. Get rid of her! But no, he's outnumbered, and even his brother—the only family he has left—wants the alien girl around. She's dangerous and she's brainwashing his brother, so what does he do? Yeah... well, he tries to kill her. It's bad, but I think he has good intentions. And that's the thing with Kyle, he always has good intentions. He's selfish and a jerk, but he usually only does what he think is best for the people he loves. He's willing to risk his own life for the lives of others. Some people might not get what draws me to Kyle and that's okay. (More Kyle for me!) Seriously, though, I get that he has flaws, severe ones, but I can't seem to keep from loving him anyway. He's loyal once you earn his trust and respect, and like I said, he'll do anything for the people he loves. He's one of those characters that can, and has been to a certain extent, redeemed in my eyes, and who doesn't love a good redemption story? You might say I'm reading into his character too much, but I just feel there's so much more underneath the surface with Kyle. I think he's got a lot to offer readers and just wish Stephenie Meyer would finish the sequels if she's writing them because I need more of him. I'd love to see him fully redeem himself someday. 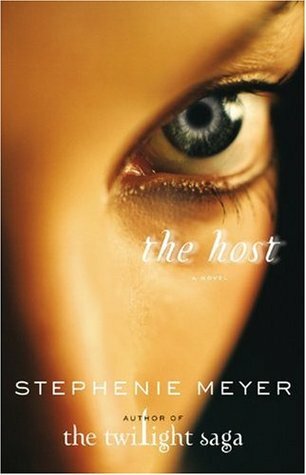 Have you read The Host? Did you fall for Kyle or did you think he was a jerk? Or do you have a crush on someone else entirely? I loved Kyle but also disliked him, at times. I loved the journey he went through in the book, from the guy who is so anti-alien he tries to kill Wanda more than once, to the guy who has an alien girlfriend himself. I never loved him as much as Ian (Ian is the one I'm totally head-over-heels for), but most of the time I loved him. In fact, my favorite parts of the book include him, whether the jokes thrown at him, or the entire cave-fight and aftermath of it sequence. Haha! I loved how everyone's jokes were always making fun of Kyle! He's so much fun to make fun of! Haha! I felt that way too at times!